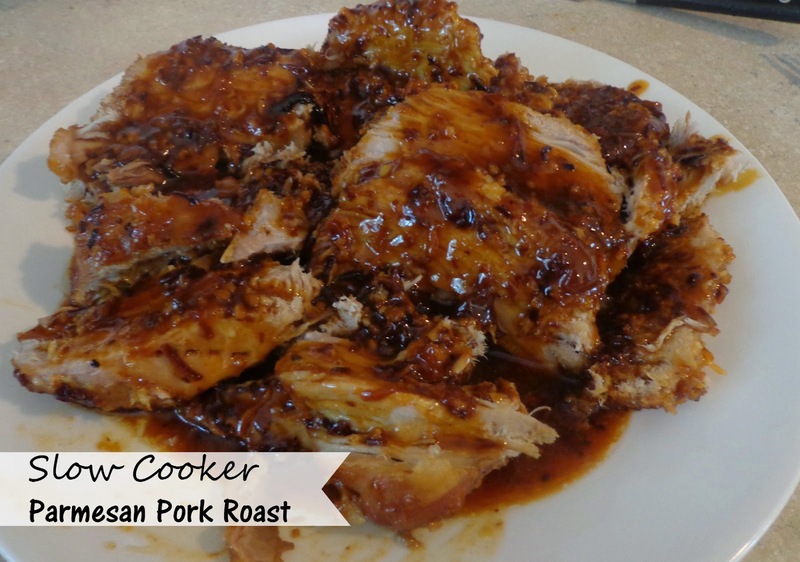 I’ve been slacking a little in the Foodie Friday department, but I’m here today with a delicious Parmesan Honey Pork Roast recipe. I’m not a huge pork roast fan, mainly because I think it can be cooked badly. But this is not one of those recipes. 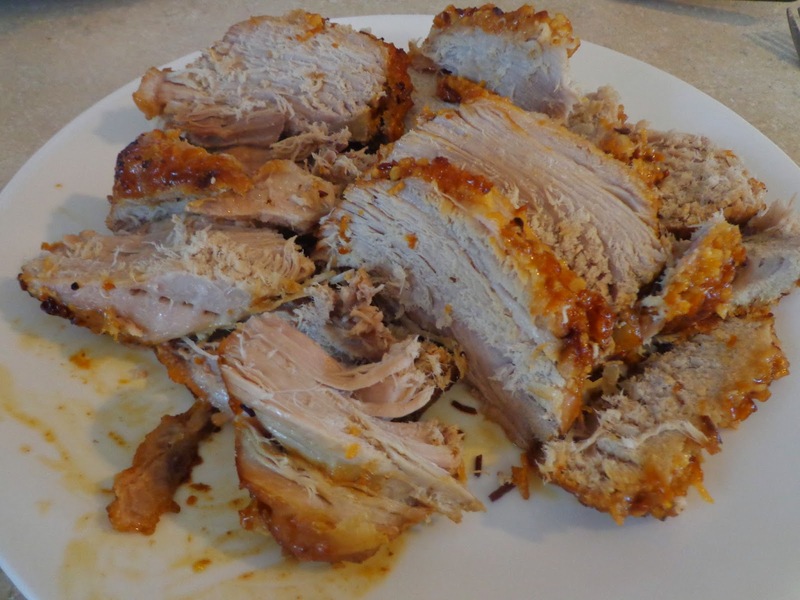 I made this Parmesan honey pork roast for Father’s day and my dad came over to have dinner with us. I got it cooking a little later than I should have but it really cooked up nicely and tasted delicious. After just about 5 hours it was so tender and the thermometer read perfectly. Travis was talking about me making it again after just a couple of bites! It was a huge hit for everyone in the house, even the 1 and 3 year olds. Before I added the gravy it was already looking delicious! I was curious how the Parmesan and the honey were going to do together but it really made for a sweet and savory flavor.